Consumers in the U.S. eat more than 10 billion bowls of soup every single year. Tomato soup is the second favorite, topped only by chicken noodle. However, it’s hard to argue that any other is more versatile than creamy tomato soup which can be enjoyed on its own or used in other recipes such as chili, casseroles, stews, Mexican dishes, Italian classics and more. 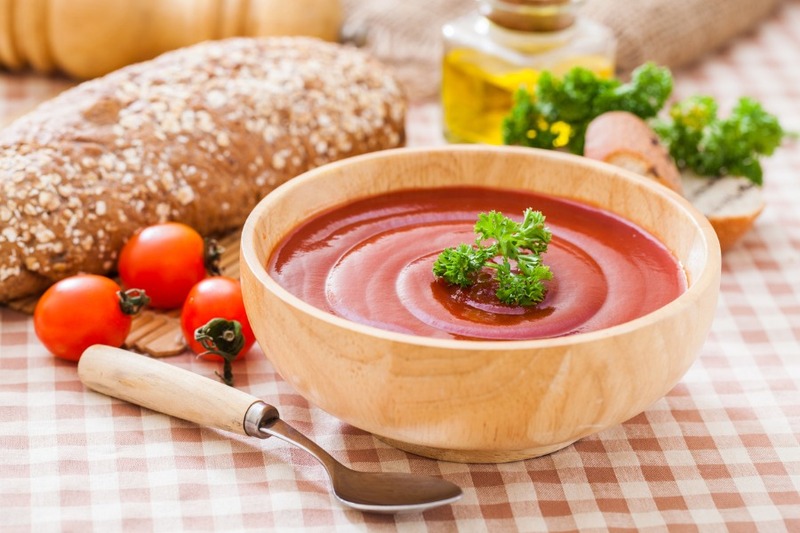 Food manufacturers that produce creamy tomato soups will often replace heavy cream with powdered dairy products to cut costs and calories and minimize refrigeration requirements. The use of some powdered agents, however, results in unappetizing clumping, fish eyes and overall poor viscosity due to poor water-holding properties, improper hydration or thermal treatments. That was the case in a recent side-by-side controlled video demonstration where nonfat dry milk was paired against Grande Bravo® functional whey protein for use as an emulsion in a creamy tomato soup formulation. The outcome shows a stark contrast in texture, viscosity and richness, with Grande Bravo providing a silky, creamy final product and the nonfat dry milk leaving the soup lumpy and gritty. Watch the step-by-step recipe video and see the results first hand. We think you’ll agree: the only thing this video is missing is a grilled cheese sandwich… and you. We’d love to partner together to find ways to improve your creamy soup formulations and other applications such as dips, sauces, dressings, fillings and more using functional whey protein. Take a moment today to reach out to the helpful food scientists at Grande Custom Ingredients Group to tackle your toughest formulation challenges.